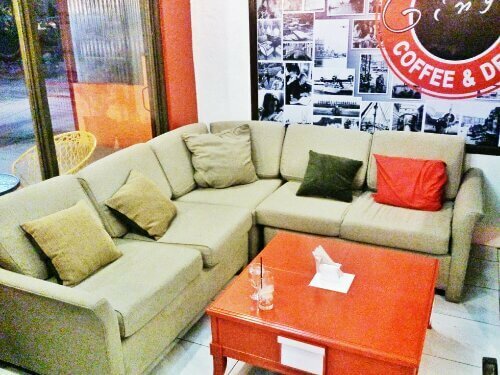 It’s my first time to be invited in a restaurant where different bloggers are there to make a review about their place. 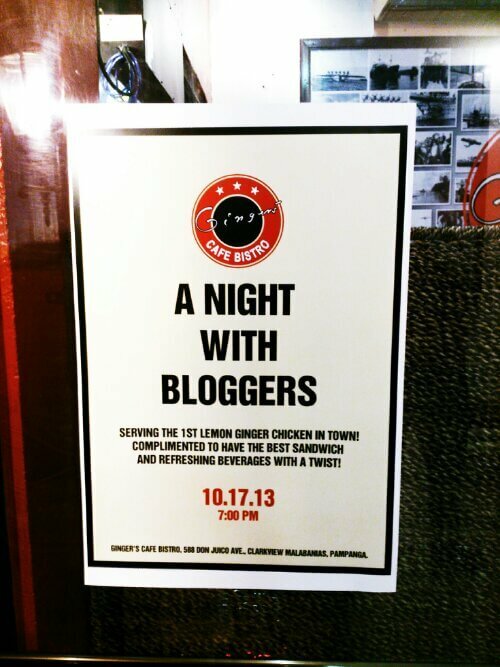 It was fun talking to other bloggers with different niche; I love listening to their experiences as a blogger. 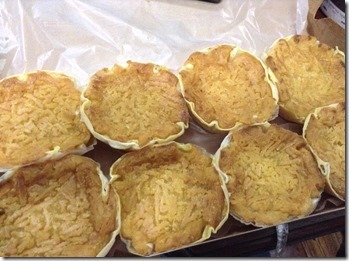 What makes a delicious food extra special for me? When it’s free! I was reading some posts in PTB Bagets group in facebook until I saw Ms. Brenna’s post about this event. I was like why not? It’s free and with transpo going to Clark. I miss roadtrips so said yes to the event right away. The pick up point is in Greenbelt 3. From there we were drove our way to Clark. It took us 2 hours until we reached the place. 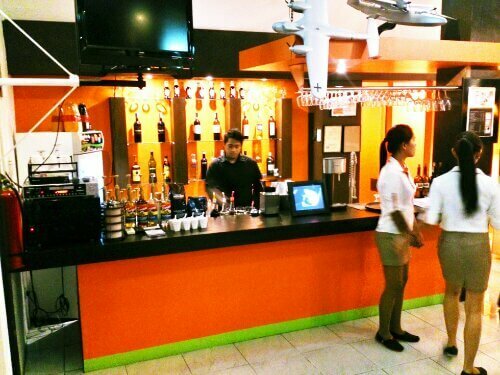 A little background about Ginger’s Cafe Bistro, it is newly opened Western European restaurant in Clark. They add a hint of ginger in every single dish they serve because ginger is a healthy spice and Ginger is the name of the owner’s daughter. The color of the place is warm because orange is its base color with a hint of red. The place is looks sophisticated. 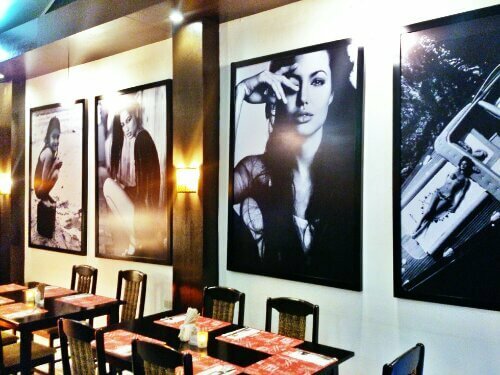 I love the big frames hang by the wall of the resto. You can see there they also add miniature airplane by the ceiling. For the appetizer, they served Ginger Garden Salad. 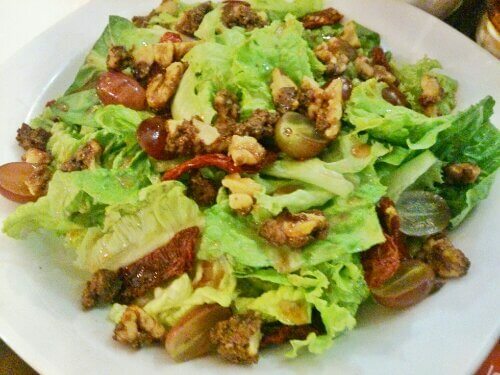 The dish contains lettuce, romaine, arugula, endives, sun dried tomatoes, walnuts, and grapes. They used strawberry vinaigrette as dressing. It’s not a typical salad, it taste special for me and very delicious! One mote thing you might think that the sun dried tomatoes as bell pepper; actually it’s sweet and chewy. The next dish is the Spinach Omelet Sashimi. 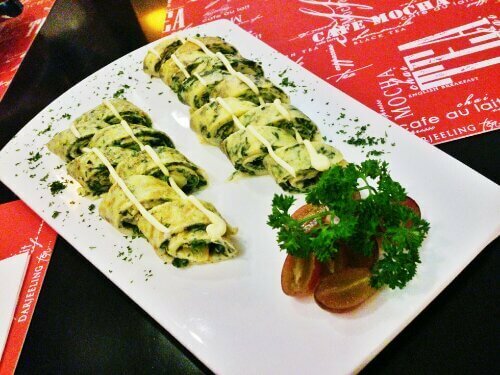 I think this dish is perfect for those who don’t eat vegetable because the spinach tastes so good in omelet. They made omelet extra healthy and special. For the main entrée is Fusili Napolitana Pasta and European Ham Sandwich. 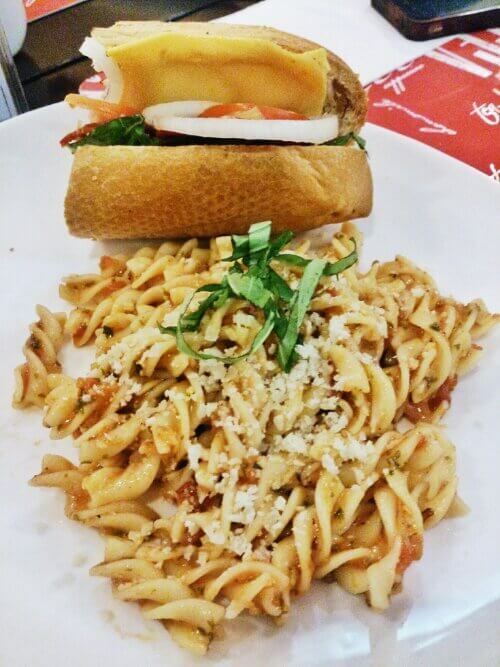 The pasta and the sandwich taste good together. One thing tho, the pasta lacks a sauce for me (pinoy pinoy lang). Fusili Napolitana Pasta contains sautéed tomato, onion, garlic, chopped parsley with basil leaves in tomato sauce. For the European Ham Sandwich they used romaine lettuce, Spanish salami, Serrano ham, lettuce, onion and cheddar cheese. I wonder where they bought those hams and salamis here in the Philippines; maybe they imported it from Europe. 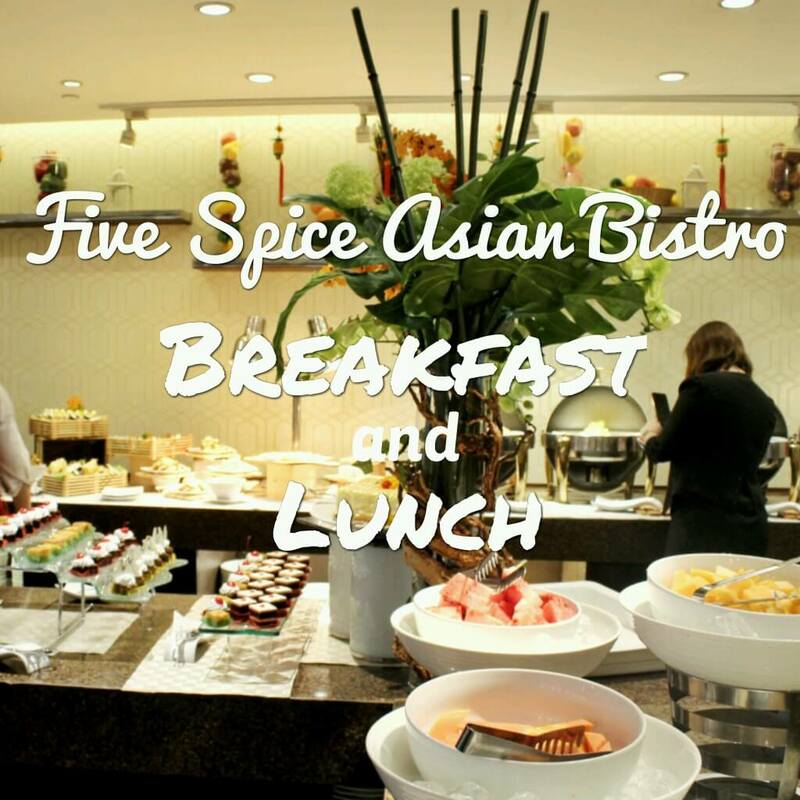 Don’t you dare miss their specialty, the Lemon Ginger Chicken. I can eat this dish alone everyday. A half chicken, marinated in lemon and ginger. 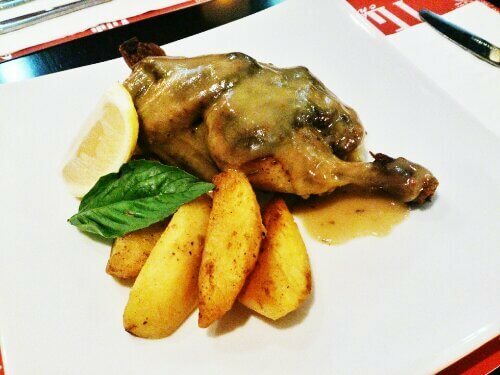 You can taste the different spices and herbs in the chicken. It is served with baked potatoes (which I love) and lemon butter gravy. Squeeze the lemon onto the chicken to taste the vivid and perfect taste of Lemon Ginger Chicken. 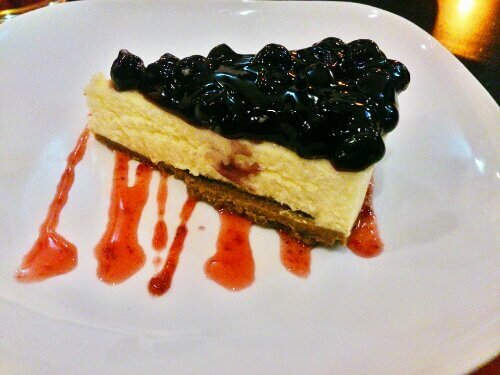 Good thing one of the blogger requested for blueberry cheesecake (which I love again, no doubt about that). 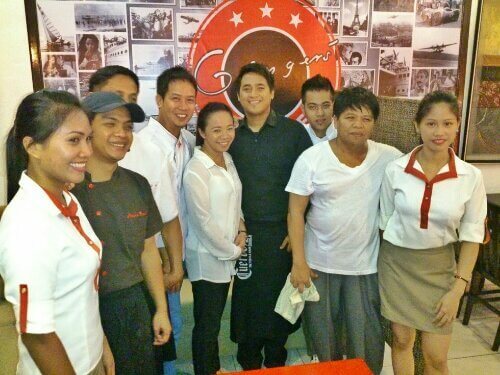 The staff of the resto and Chef Red is very generous to end the event with their delish cheesecake. It so good that I wanted to request for another one pero nalakahiya na and I’m so full. 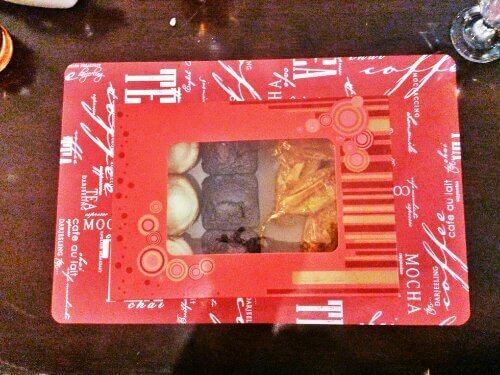 They’re so nice to give us pastries as pasalubong. Thank you for the staff and Chef Red for inviting me to your event. I had so much fun even if I gain weight again. Its all worth it. 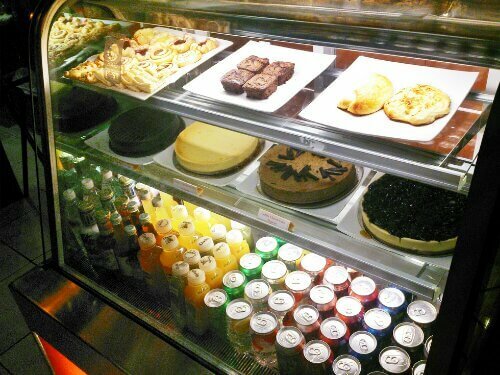 More power to Ginger’s Cafe Bistro. 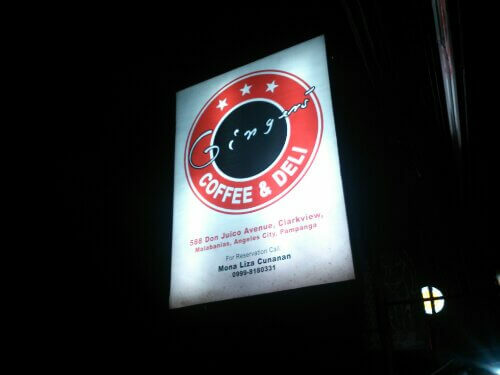 Visit them at 588 Don Jucio Avenue, Clark, Angeles City, Pampanga. Where to eat in Vigan? October 17, 2013 Mc Pol Comments Off on Where to eat in Vigan?